The Constitution is more valuable than gentility | Jon Katz, P.C. Chief Judge Robert M. Bell dissented that George Junior Spry’s taking twenty minutes to disperse did not constitute disorderly conduct. The Constitution is more valuable than gentility. However, courts repeatedly uphold police efforts through the disorderly conduct laws to enforce gentility and public obedience to police. A recent example is Spry v. Maryland, No. 42, Sept. 2006 Term, ___ Md. ___ (2007). In Spry, all judges of Maryland’s highest court, except for Chief Judge Bell, affirmed a disorderly conduct conviction for a man due to his taking twenty minutes to disperse after being told by the police to disperse. The man finally dispersed, yet, the next day police arrested him for disorderly conduct after he did not disperse quickly enough for their taste. 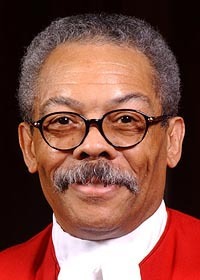 Chief Judge Bell confirmed that the disorderly conduct law does not include a provision showing the amount of time a person may take when a police officer lawfully orders the person to disperse. Kudos to Judge Bell for dissenting.